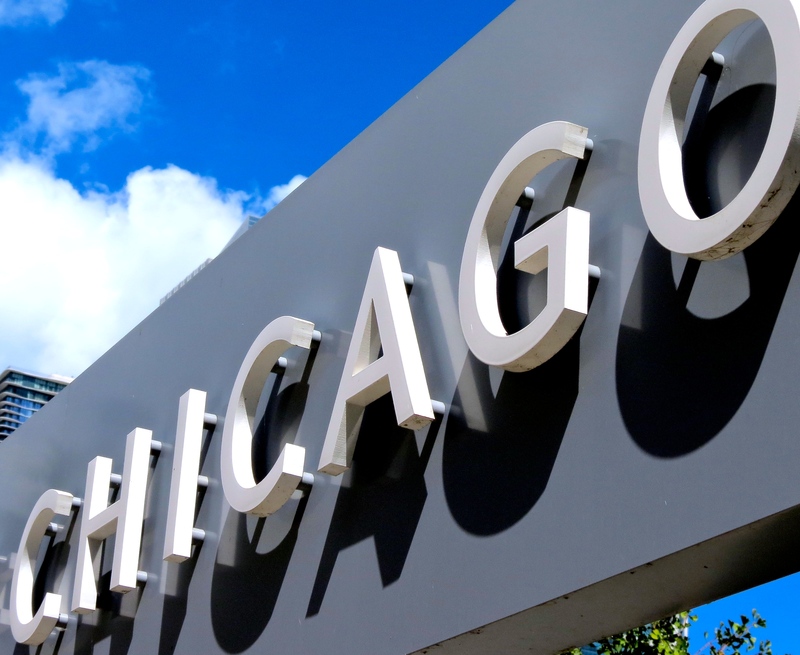 Rediscovering Chicago « How Do You Measure 525600 Minutes? Good Morning Chicago. Early morning cityscape from Upper Wacker Drive and the Chicago River. The funny thing about living in or near a major city is that it seems that everyone that lives there, is too busy to see it. When we visit New York City, even though our primary goal is to see as many Broadway and Off Broadway shows as possible, we also try to get away from Times Square and experience the real New York that tourists don’t often see. We try to explore neighborhoods and restaurants that are new to us, and just enjoy the eclectic vibe the city has to offer. Sure, we do the touristy things too. But when you ask New Yorkers, most have settled into their routine, have their favorite hangouts, and seldom explore the city the way tourists do. The fact is, when you live in a metropolitan area, you tend to take it for granted. It’s there, you can see it whenever you want but most don’t get out there and explore it. And– God forbid, you do anything at all that tourists would do! 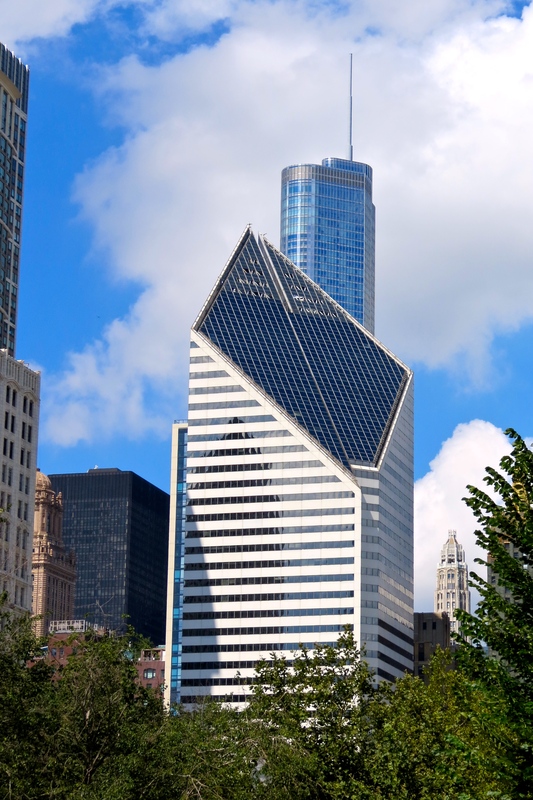 I came to Chicago in April of 1989 for a week-long vacation; and by chance, got a job on the second day of my visit. I didn’t return home for four months– and then, only long enough to pack up my things and move to my new home. I lived in Roscoe Village and then Uptown for nearly five years before moving permanently out to the suburbs. That was twenty five years ago. Since then (aside from one day spent in the city with visiting family, more than ten years ago) trips to Chicago have been limited to a few hours usually for dinner and a show and very little exploring. 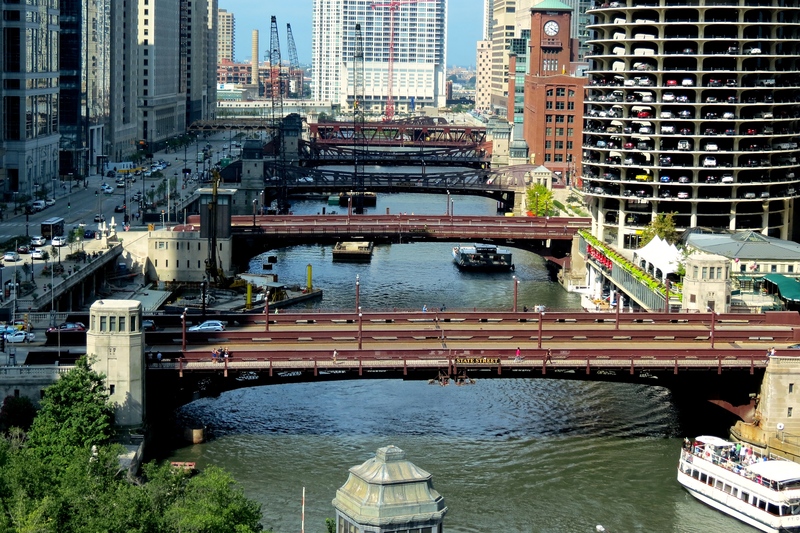 A view of the bridges over the Chicago River from my hotel room. For years, Michael and I have been saying we wanted to spend time seeing Chicago but never have. So finally this past Labor Day weekend, with family in town, we decided to stay in a hotel and spent three days seeing some of the sights. 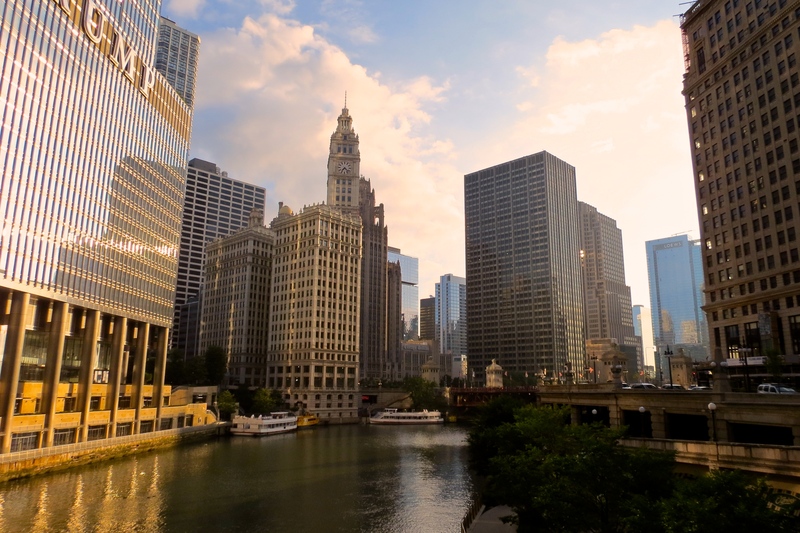 We stayed at the beautiful Wyndham Grand Chicago Riverfront (formally Hotel 71) and had a stunning view of the Chicago River. 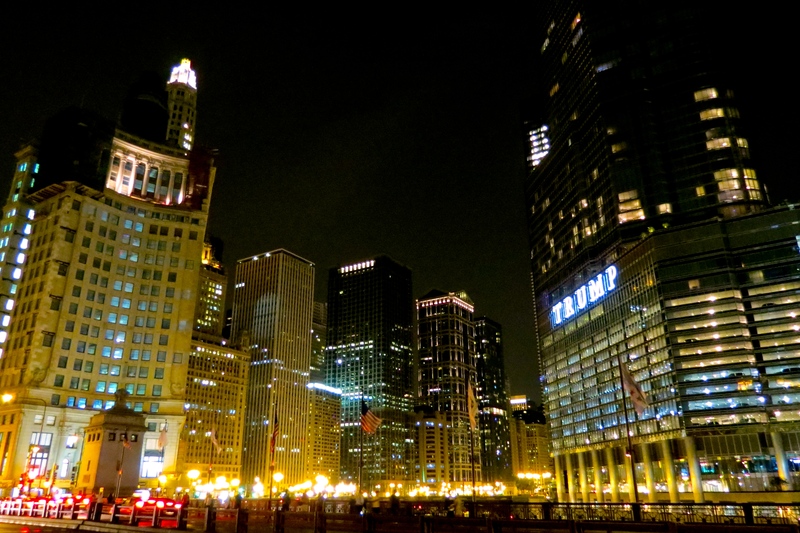 I wanted to share pictures from our stay in and around the Chicago Loop and lakefront. 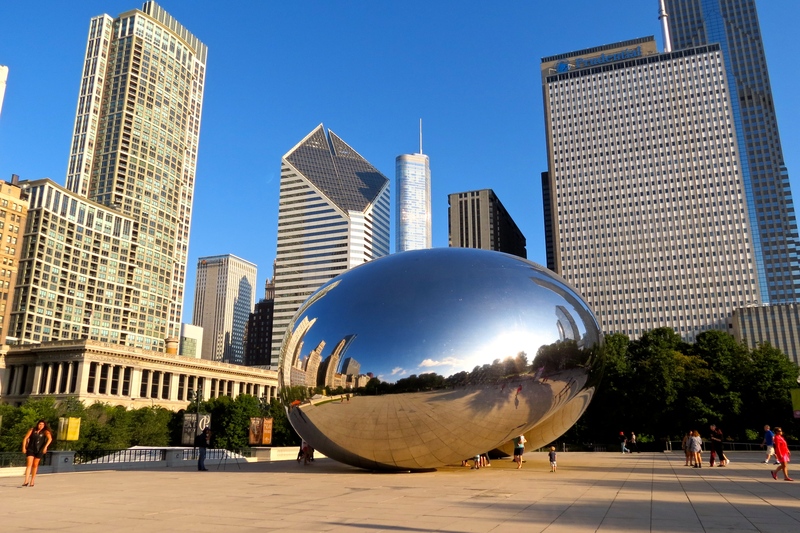 Cloud Gate by artist Anish Kapoor in Millennium Park. 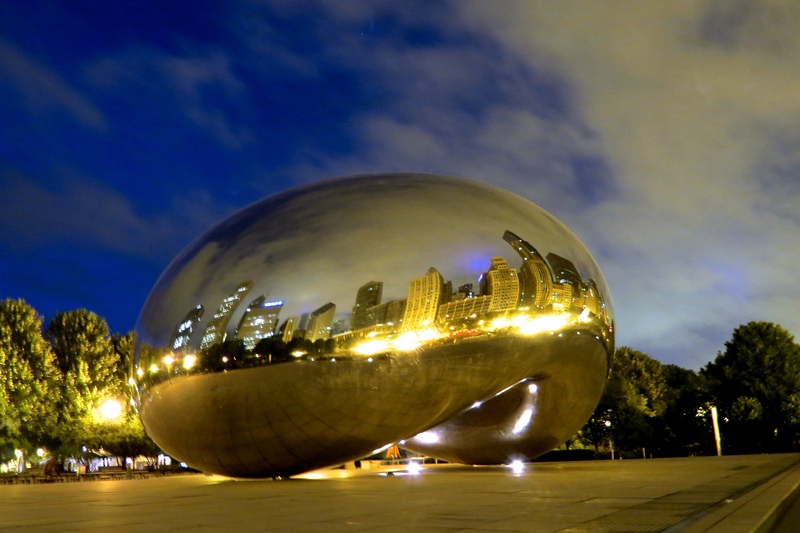 Better known as ‘the Bean’. 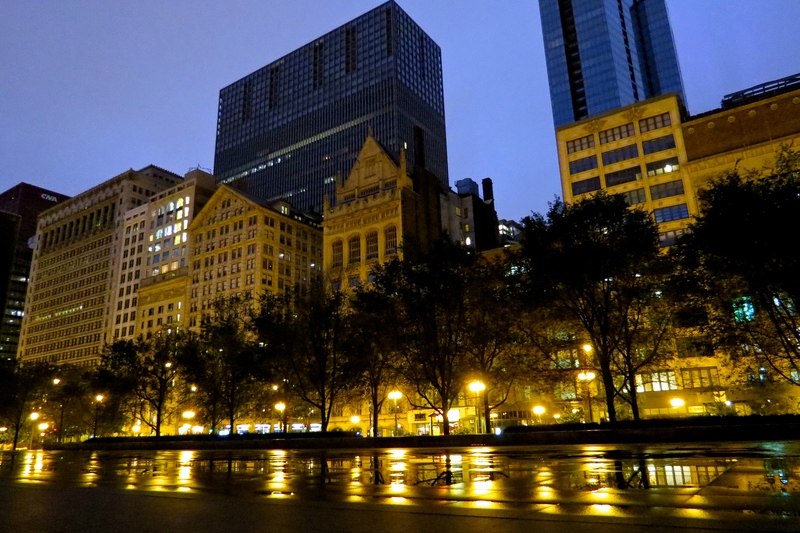 Looking across Jaume Plensa’s Crown Fountain in Millennium Park towards Michigan Avenue at 5 am. 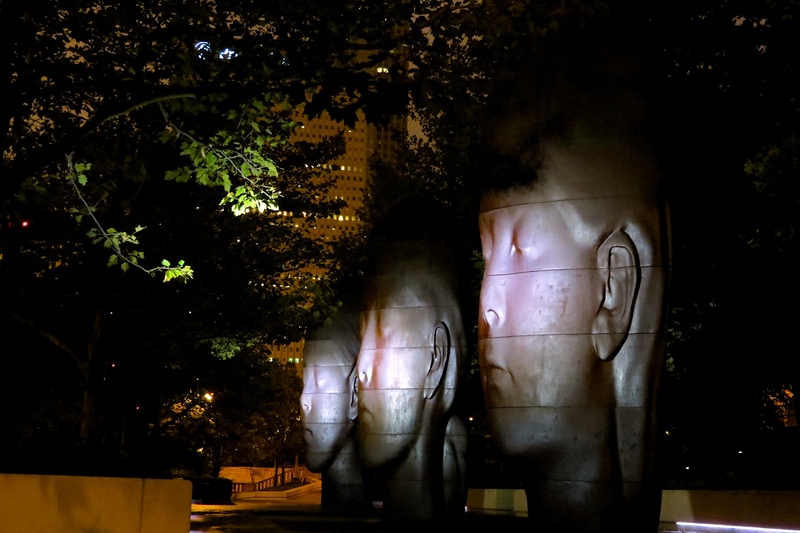 Statues by Jaume Plensa in Millennium Park at 5 am. 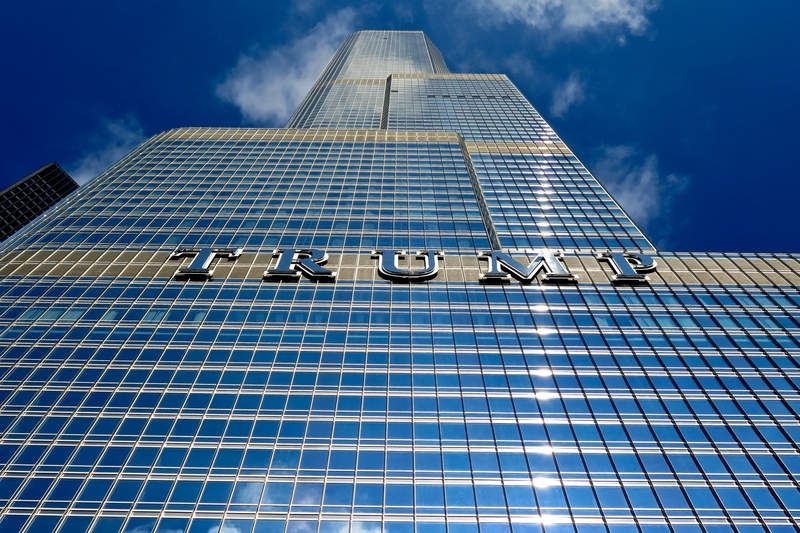 The newest major addition to the Chicago skyline, Trump Tower. 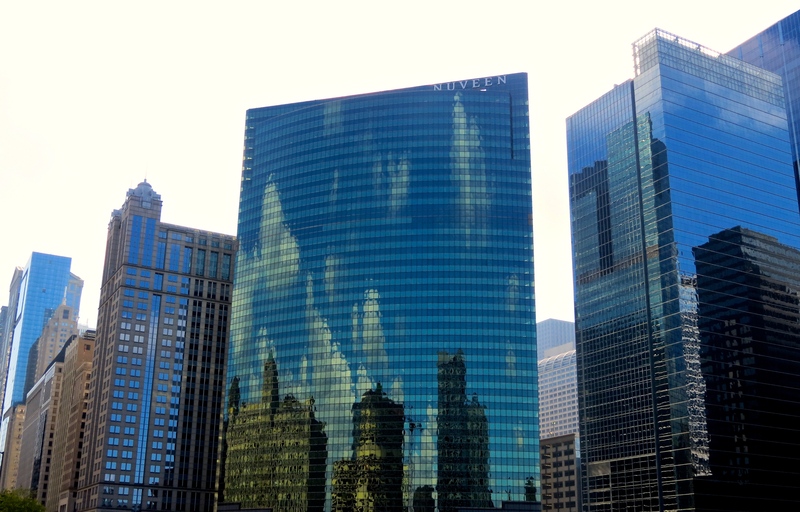 Reflections on the Chicago River. 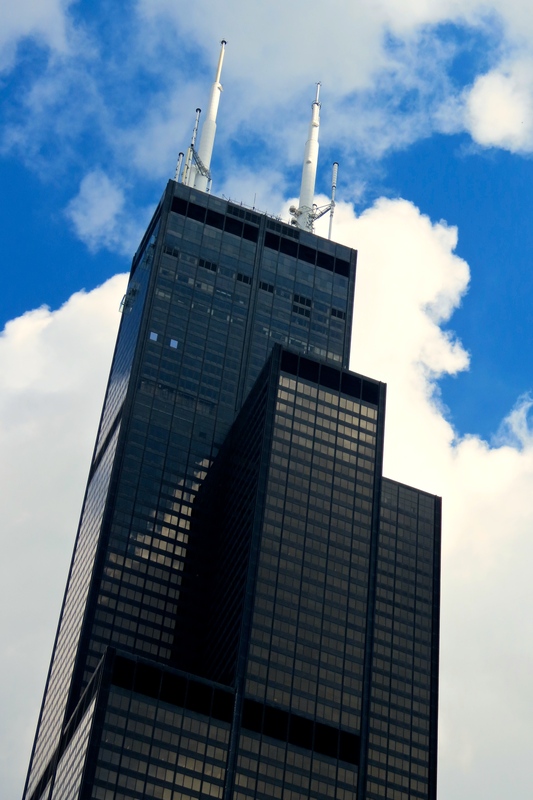 The Willis Tower. Formerly known as the Sears Tower. 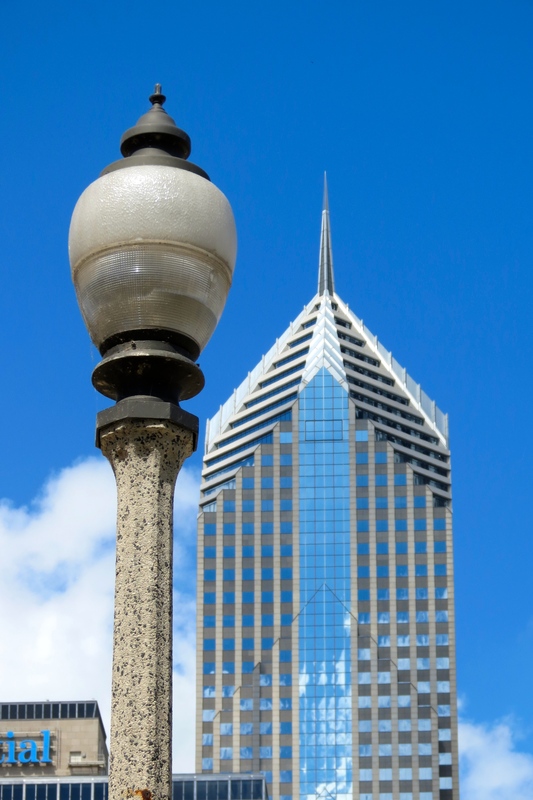 The second tallest building in the U.S. 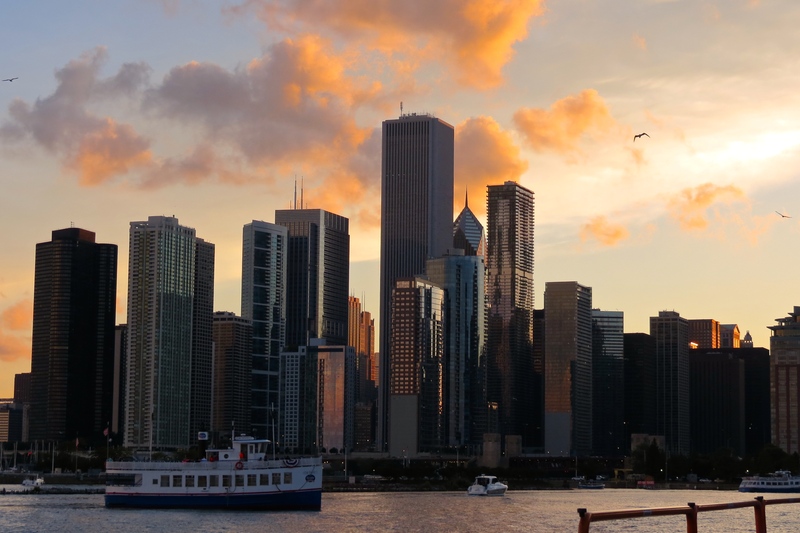 The Chicago skyline at sunset. 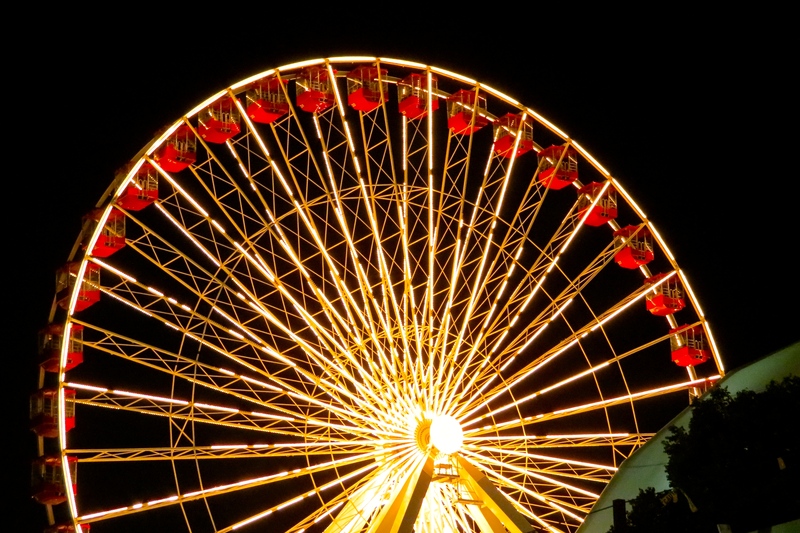 The Ferris Wheel at Navy Pier. At a later date, I’ll post more photos from the Architectural River Cruise and the museums. I realize there is much more to Chicago than what the Loop has to offer. There is a vibrant, neighborhood and cultural identity to explore as well. At least we got a start rediscovering some of the many treasures Chicago has to offer. It took us long enough. What could be more short-sighted than exploring the world while ignoring the riches in your own backyard? By jlinamen1229 in Lifestyle, Photo Essay, travel, Uncategorized on September 10, 2014 .